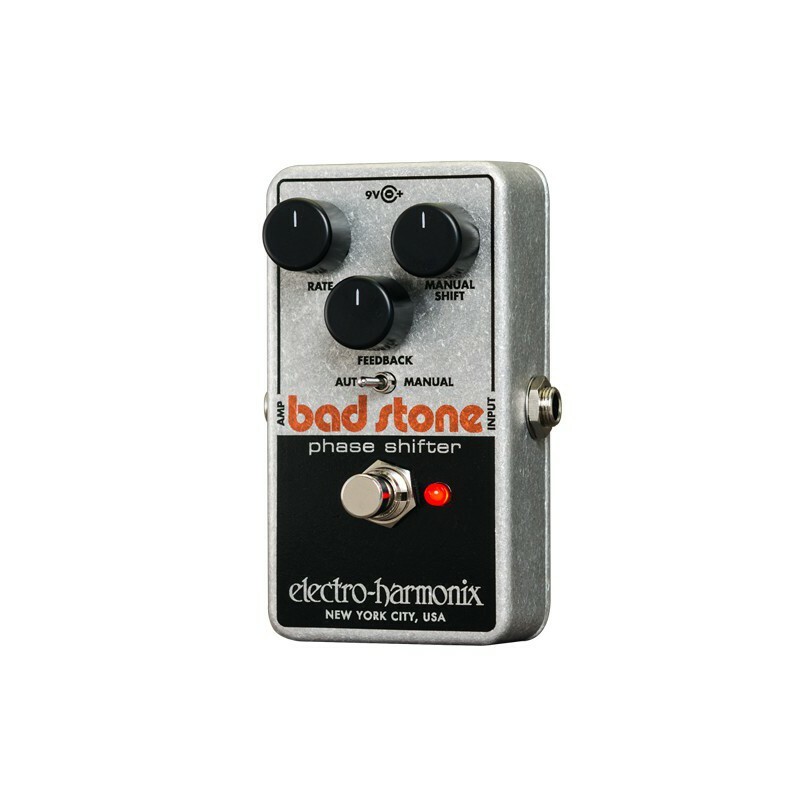 A faithful reincarnation of the legendary 1970s Bad Stone with carefully selected updates for the modern player. 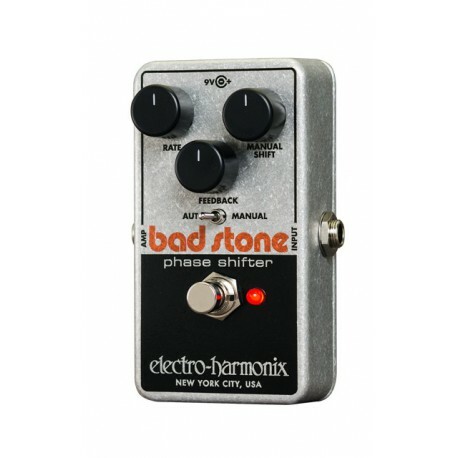 The Bad Stone was the first phase shifter to employ variable feedback and features an awesome six stages of phase shifting. Manual Shift mode that lets you freeze the phase, Compact, rugged die-cast package. True bypass switching for maximum signal path integrity, Effect status LED, Built-in AC jack that accepts an optional EHX9.6DC power supply.